Chairman of Hanoi municipal People's Committee Nguyen Duc Chung held a meeting with a Swedish business delegation in Hanoi on May 7, under which the two sides discussed the building of a smart and sustainable urban transport system. Earlier on the same day, a seminar on promoting the operation and management of effective public transport and gaining experience from Sweden was held in Hanoi. Swedish firms, including ABB, Erricson, Volvo Buses, Axis Communication, Volvo Cars and Rotex, shared their insights and solutions to help Vietnam to increase the number of people using public transport vehicles, while protecting the environment and using state of the art technology. After the seminar, the Swedish business delegation and Swedish Ambassador to Vietnam Pereric Högberg were received by Chairman Nguyen Duc Chung. 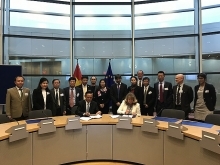 The Swedish enterprises expressed their wishes to cooperate and assist Hanoi in developing public transport towards the building of a smart and sustainable city. 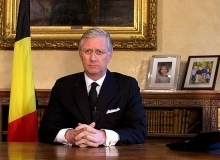 The Swedish Ambassador said that Swedish firms expect to seek more opportunities in Hanoi in the future, while expressing his hope that Hanoi would create favorable conditions to increase the cooperation between the two sides. Chairman Chung said that Hanoi always seeks modern technologies and equipment from Europe, including Sweden, in order to build a smart and sustainable transport system as well as a green city. 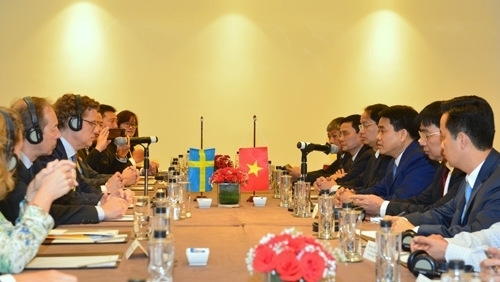 The Hanoi leader valued Swedish technology and experience in the aforementioned areas, affirming that Hanoi is willing to provide all information on smart city projects to the Swedish business community for further cooperation in the future.